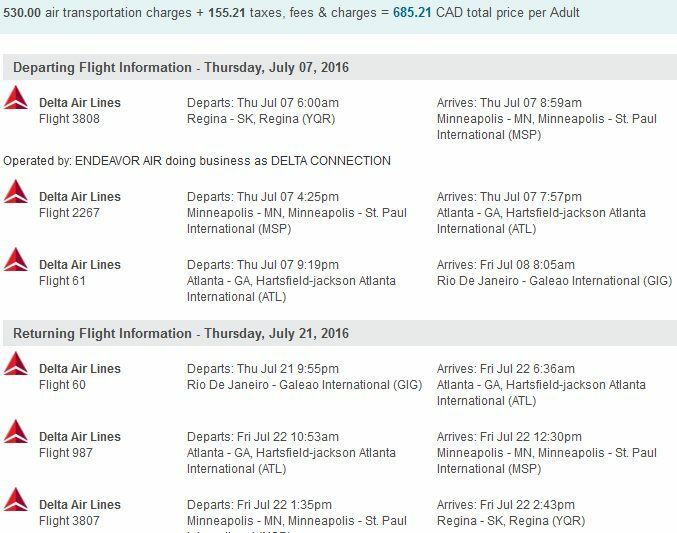 Delta is showing flights from Regina to Rio de Janeiro, Brazil for $675 CAD roundtrip including taxes, in July 2016. This is a new record for the cheapest flights from Regina to Rio de Janeiro. But what makes this deal even more interesting is that Brazil is waiving the visa requirement for tourists visiting between June 1 and September 18, 2016, due to the Summer Olympics. Normally, an expensive visa is required to visit Brazil, and can take a while to get. During the June-September exemption period, a valid Canadian passport will be the only document required to visit Brazil. 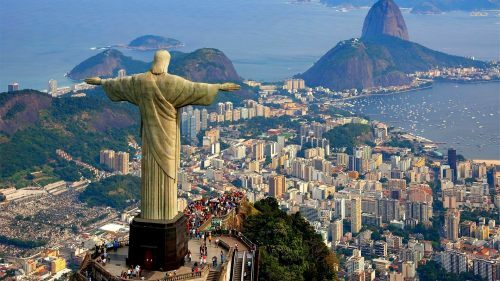 This could be a rare opportunity to take advantage of historically low airfares to Rio de Janeiro, without having to worry about getting a visa in time. A ticket to the Olympic games is not required for the visa-free entry. July 7, 12, and 14 are good departure dates to start with. Canadians (normally) require a visa to visit Brazil. It costs $95. Details on how to apply for and obtain one from the consulate in Vancouver can be found here. regina, yqr, flight deals, delta, south america, rio do janeiro, brazil and gig.